A 4-day international conference, with coach excursion and conference dinner, and first night boat-trip reception. The conference venue is the University of Strasbourg, very close to the city's historic centre. The New Zealand Studies Association has a long and strong history in promoting New Zealand Studies, which now extends within the region through its twice-yearly Journal of New Zealand and Pacific Studies. Building on the successes of the conferences in Lugano (2016), Vienna (2015), Oslo (2014), Nijmegen (2013), Gdansk (2012), Frankfurt (2009), Florence (2008), London (2007), and Paris (2006), this major event will be held at the University of Strasbourg. Proposals for 20 minute papers to be sent by 7 January to Ian Conrich (ian@ianconrich.co.uk). Papers can consider all topics related to the Pacific and New Zealand, with priority given to papers that address the theme of ‘contested territories’. Interpretations of the theme are broad and can include colonialism, neo-colonialism, multiculturalism, museum collections, land/sea claims and usage, the Gothic, the environment and climate change, war and conflict. The conference fee includes annual membership to the NZSA, which for 2017 includes a twice-yearly journal. A selection of papers from the conference will be published in the refereed Journal of New Zealand and Pacific Studies, published by Intellect. From politics to Potter, we take a look at some of the biggest stories in UK publishing in 2016. The Costco Pennie's Pick for January is Amy Stewart's Girl Waits With Gun (HMH) while the company's book club pick for the month is The Tumbling Turner Sisters (Gallery) by Juliette Fay. Updating our very best of the best books of 2016 report, Jacqueline Woodson is represented now by Kathleen Nishimoto at William Morris Endeavor. Also, USA Today weighed in with their top 10 books of the year (now added to our vote count), also naming Colson Whitehead as their author of the year. Ward & Balkin Agency is being acquired by Roam Agency as of July 1, 2017, when Rick Balkin retires after more than 40 years as an agent. All Romance eBooks announced on their website that they will shut down at the end of the year, after having "accepted that there is not a viable path forward." The posted message says they incurred a loss for the first year since opening in 2006 and "the financial forecast for 2017 isn't hopeful." UK literary agent David Miller of Rogers, Coleridge and White suffered a heart attack on Christmas Eve and is in intensive care, still in "very serious" condition, Gil Coleridge tells the Bookseller. Co-owner of Blue Marble Children's Bookstore in Fort Thomas, KY Tina Moore died Wednesday. She had served on the board of the Association of Children's Booksellers and was a founding member of the organization. Actress, screenwriter, and author Carrie Fisher, 60, died December 27 from complications of a heart attack suffered four days earlier on a flight from London to Los Angeles. Fisher was most recently promoting her new book, The Princess Diarist, published in November by Blue Rider Press, and also published two other books of nonfiction, Wishful Drinking and Shockaholic, as well as four novels. Richard Adams, 96, author of the classic children's novel Watership Down (1972) and many other books, died December 24. An animated adaptation of the book is set to air on the BBC in 2017. 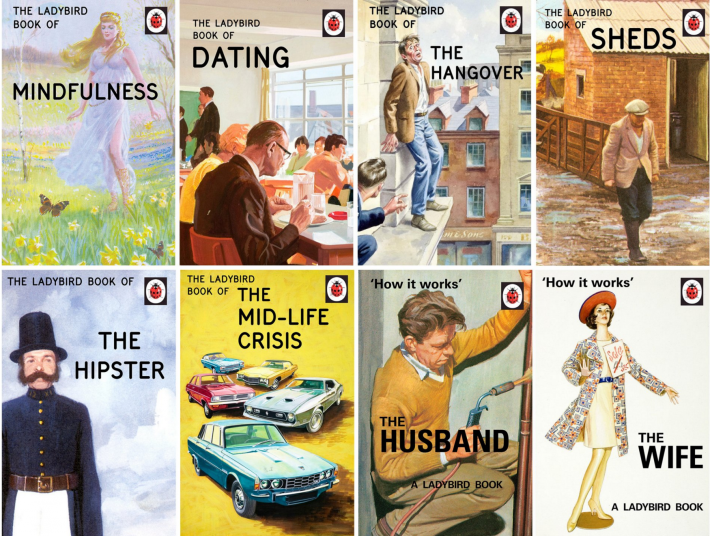 In the UK, “updated” Ladybird books have sold more than a million copies. The bestseller lists in the UK this past Christmas concealed a curious story, one that raises interesting questions about who “owns” ideas and who — if anyone — copied whom. It’s a saga that some see as a David and Goliath tale of the big bad conglomerate allegedly ripping off the plucky independent artist/author/publisher. It is also about satire about copyright and what is or isn’t permissible. The Bookman wishes all his readers the happiest and most relaxing of holidays. The blog will continue through the holiday season but not with quite the same regularity or extent. It seems that when the author of A Series of Unfortunate Events – né Daniel Handler – was on location in Vancouver for the shooting of Netflix’s upcoming Series series, he never spent his per diem. So he’s come up with a use for that money. Is This The World’s Coolest New Library? a computer center, a cafe, lecture halls, playgrounds, and an interactive floor; outside, there’s an even bigger playground and a giant tubular bell that rings every time a baby is born in town. Down below is a parking lot run by robots. America’s newest literary landmark is not a library, a bookstore, an author’s birthplace or her salon. It is Room 05S1-228 on the fifth floor of The New York Times’s headquarters near Times Square. A nondescript box of a space, closed off by a sliding frosted-glass door, the 5-by-9-foot room was originally intended as a refuge where employees could spend a few private moments crying or chilling. 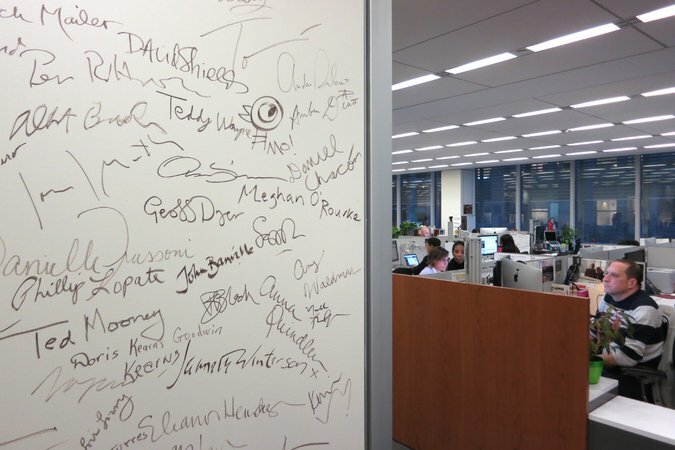 But since it faced the Book Review’s cubicles, it became something else: a gallery of autographs from literary luminaries, written like graffiti with black markers on white plaster walls. "When my wife and I opened Literati four years ago, we did so because we believe bookstores were more than places that simply sold a product. At the risk of sounding maudlin, it has been my experience that bookstores can help change lives. Bookstores are where challenging and evocative ideas flourish, new worlds open, and magic blooms. 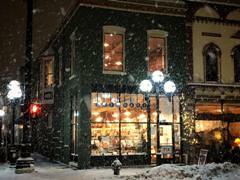 To anyone and everyone who has supported an independent bookstore this holiday season: Thank you for helping continue a bookstore's ultimate endeavor--to change lives, cultivate ideas, and create magic." Meet the writers who still sell millions of books. Actually, hundreds of millions. Reading, contrary to previous reports, is not dead. In fact, it’s very far from it. Brazilian author Paulo Coelho has legions of readers. His best-known book, “The Alchemist,” the story of a young Andalusian shepherd on a personal quest, spent almost eight years — two presidential election cycles — on the bestseller lists. It was translated into 81 languages. Farewell to the Reader In Chief: Barack Obama has had the makings of a great literary president. But where do we go from here? Rowling Works on Two New Novels: The Harry Potter author revealed to fans on Twitter that she has two books in the pipeline, one under her own name and one as Robert Galbraith. N.M. Book Publisher Seeks More in Suit: A New Mexico book publisher who filed a lawsuit against the state earlier this year has increased the amount she is seeking in the case. How Junot Díaz Does Breakfast: Díaz is as passionate about food as he is about his work, although "anyone reading my fiction would never guess how seriously I take food." Lit Hub's Favorite Stories of 2016: The editors of Literary Hub round up the stories they loved best and stayed with them after a year of publishing literary essays.